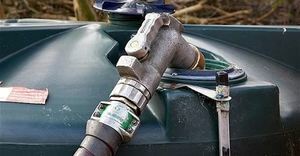 This should be common sense but locking down a tank with a secure cap or hardened hoses is always worth doing. However, with some thieves employing pumping systems to extract fuel, it’s almost certain that these individuals will turn up with gear to slice their way through basic locks. It is always worth investing in a good-quality lock but this shouldn’t be your only line of defence. If a determined criminal has time on their side, they could potentially just drill straight into the tank to extract the contents﻿.